We are your plumbing specialists in the Greater St. Cloud, Minnesota Area. 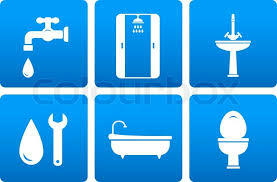 We are a family owned plumbing service contractor servicing the St. Cloud, Minnesota Metro Area. Our service technicians are mobile, repair shops on wheels that can deliver parts and expertise to solve your Residential and Commercial plumbing projects. Because we stock common repair parts and supplies in our service trucks, we are able to make most small repairs on the spot. For your heating and ac needs please click here.